Saucony have emerged as one of the top sneaker brands of recent times. 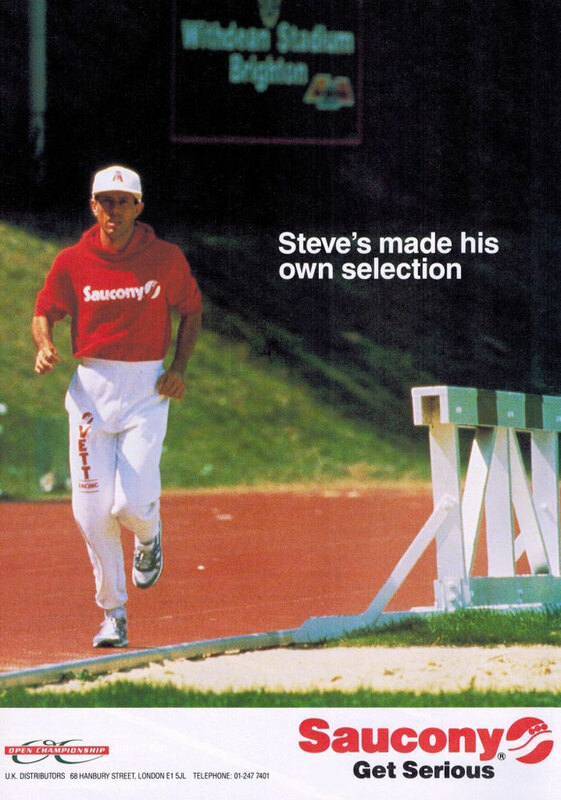 What many don’t know is that the athletic footwear specialists have roots that trace all the way back to 1898 and with well over 100 years experience and knowledge in the footwear industry, Saucony continue to be at the forefront of technical performance footwear as well as a key player in the lifestyle market. The story starts back in 1989 with four business men coming together in Kutztown, Pennsylvania to produce walking shoes for both adults and children, and this eventually led to the introduction of running shoes a while later. The factory sat on the banks of the Saucony Creek, which gained its name from the local Native Americans of the area. The Creek would inspire the brand’s name, as well as their iconic swooping logo that represented the flow of water, while the 3 dots inside it represented the boulders that lay at the bottom of the Creek. Another key part to the Saucony story is the history of A.R Hyde & Sons. Founded by Russian immigrant Abraham Hyde around the same time of Saucony’s start up, the company opened a small shop in Cambridge, Massachussetts in 1910 and by 1938 was itself producing bowling shoes, baseball shoes and roller skates. A.R Hyde and Sons continued to grow throughout WW2 having been commissioned to make boots for the American soldiers, but real success came when they were asked by NASA to produce special space boots for astronauts. In 1969, when Apollo 11 touched down on the moon, Neil Armstrong was wearing boots design and produced by A.R Hyde and Sons. Having taken the business as far as they could go, and after reasonable level of success, the four business men from Kutztown decided to sell the rights to produce and distribute Saucony shoes to Abraham Hyde, a year before the Mood landings in 1968. All Saucony operations were move to A.R Hyde & Sons headquarters in Cambridge and for years after Saucony remained a hidden treasure and secret to the locals of the town, thanks to it’s minimal marketing push. Everything would change for the brand on a National scale when in 1971, the editor of ‘US Running Magazine’ got hold of a pair of the runners and decided to feature them in the magazine, awarding them with a high quality rating. 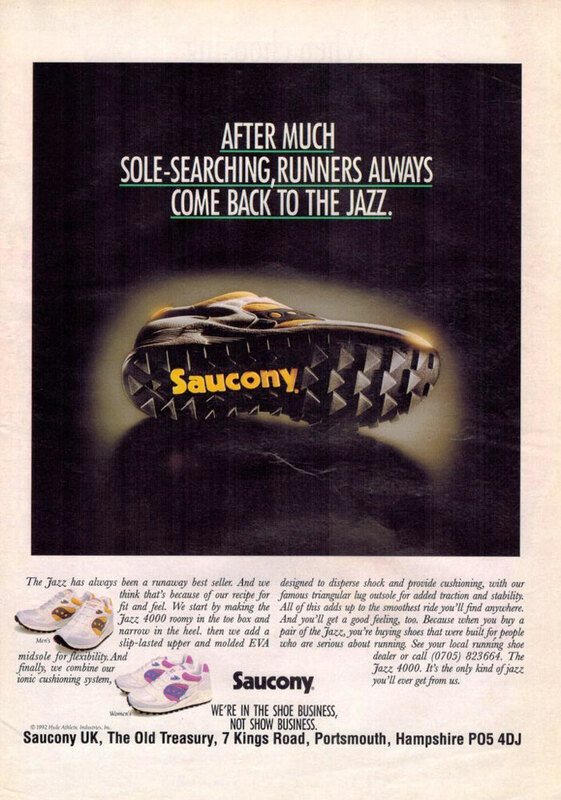 This would shoot Saucony to the forefront of running footwear and its new publicity helped the brand establish a name for being the ‘best you can get’ in running sneakers. People across America had heard the name and what the shoes could offer and were eager to get their hands on a pair. Saucony continued to grow over the years, expanding its product range to cover all aspects of running, from track to field, as well as moving into the production basketball shoes. With their rich heritage behind them, the brand arrived at the forefront of technical performance footwear with the introduction of their iconic GRID technology in the early 90’s having previously released form fitting silhouettes such as the Shadow in the late 80’s, which were popular not only with runners but also gave the brand a foothold in the lifestyle market. Today the brand is capitalising on the retro runner resurgence, re-introducing their key silhouettes in new colour and material reworks, along with a spate of notable collaborations. The anticipation and excitement around the brand and its releases still remains to this day. With a solid range of Saucony stocked here at Urban Industry, we take a look at some of the key styles on offer. The Saucony Grid 9000 originally debuted back in 1994 and has since become a prominent feature in the Saucony retro runner line up. Traditionally the premium runner sports a mesh and suede mix on the upper with neoprene on the tongue, EVA midsole and gum outsole. Out of all Saucony’s runner styles, the Grid 9000 is considered bulky in its construction, despite this it continues to be a favourite for the sneaker heads, undergoing several reworks since it was first re-released. The Shadow Original offers timeless design and a retro-inspired aesthetic, created by combining the classic Jazz and Shadow 5000 styles. Traditionally, the shoe arrives with a mesh, suede and nylon mix on the upper, all of which sits on top of a shock absorbing EVA mid sole. The Shadow Original also features a TPU heel piece for extra support, cushioned sock liner for comfort and cushioning system in the heel. Originally released in 1989, the Shadow 5000 is considered an all rounder in its look and its specs. It’s a style that can pop up at any time of the year and still look great, and despite being fairly off and on in terms of releases we are starting to see more interesting reworks in the style. The brands resurgence over the last few years has been fuelled by some of the strongest collaborations available, and the Shadow 5000 has played a huge part in that. First released in 1991 , the introduction of the Shadow 6000 saw Saucony continue to develop their running technology, with new functional features added for engineered stability in the heel, as well as consideration for extra flexibility and cushioning in the mid foot and forefoot. As a well balanced shoe, the style became a favourite for long distance runners. Its curvy panelling on the upper allows for really creative colour treatments in reworks and collaborations, but its the shoes subtlety in its construction that really makes the Shadow 6000 stand out. The Jazz Original is one of Saucony’s go to styles, with its no-nonsense design a hugely significant releases in terms of shape. 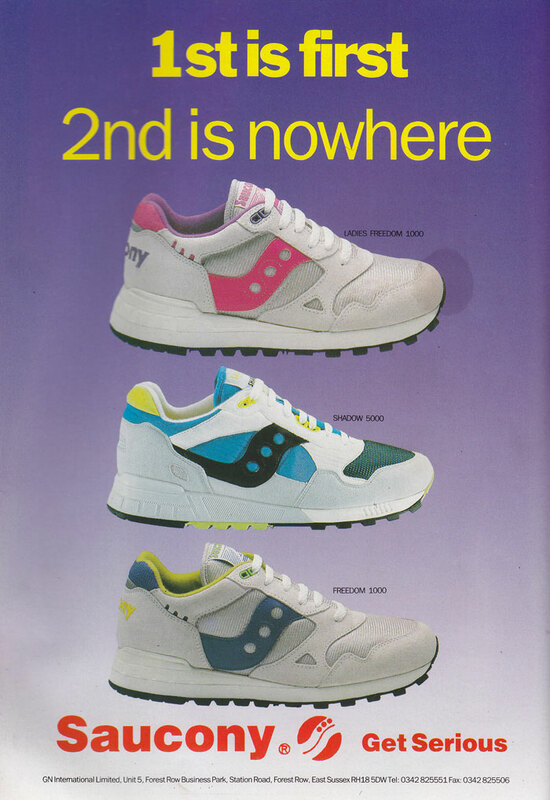 Originally released back in 1981, it was the first style to really solidify Saucony’s iconic look and feel and continues to this day to survive the test of time. 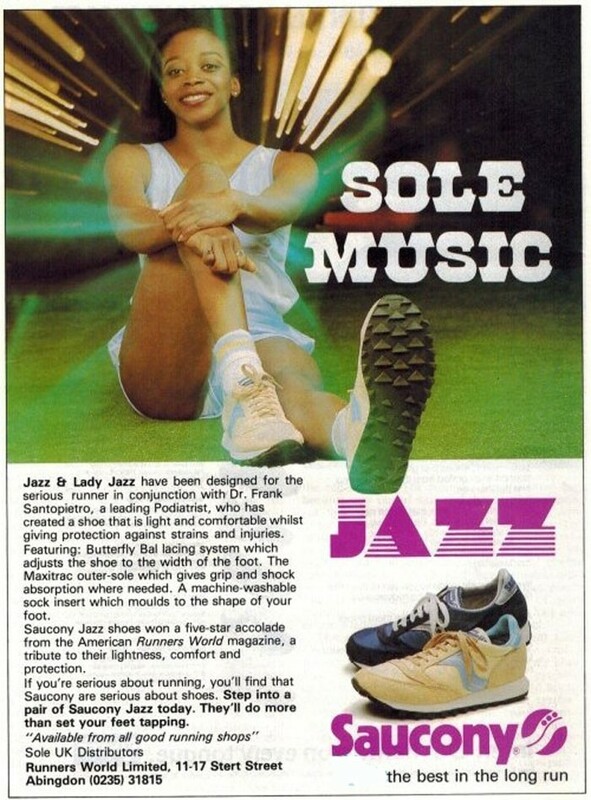 Despite being slightly overshadowed by the likes of the Grid 9000, the Jazz had a huge part to play in the development of the company and the more considered designs we have from the brand today. It’s been the subject of some great collaborations over the past few years, with its minimal panelling and its toe box design ideal for colour blocking.